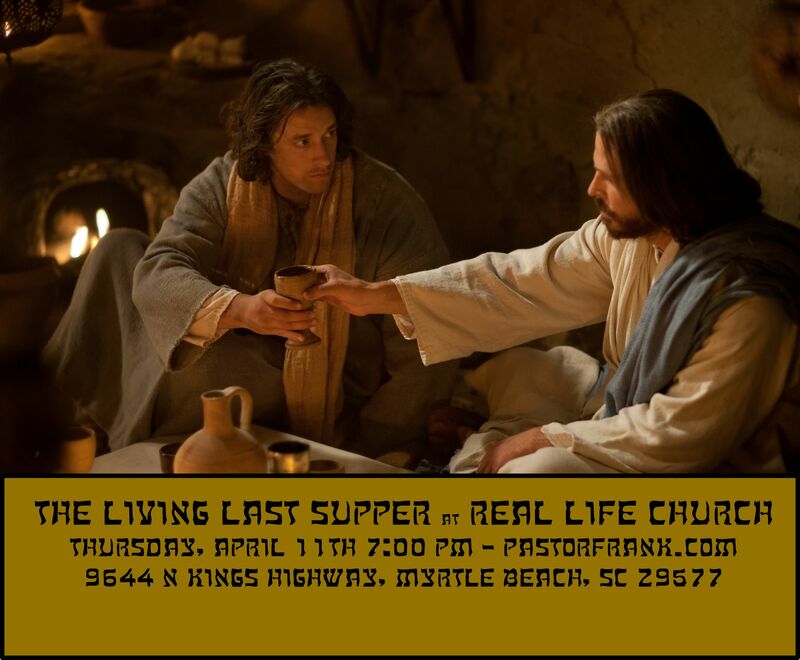 Experience the Last Supper in this exciting reenactment on Thursday, April 11th 2019 at 7:00 pm Pastor Frank will narrate and explain the hidden truths based upon Biblical, historical, and archaeological sources. He will trace little known cultural facts and combine them with the traditions of Passover to bring an unforgettable event. The scenes will be punctuated with the Real Life Church Choir bringing added pathos to the table of the Lord. A reception will follow and all are invited. This event is free of charge. Please make your donation or tithe by clicking on the button below.